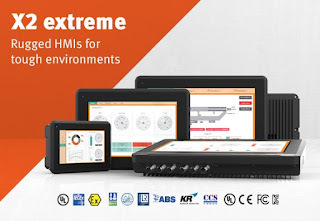 Introducing the X2 extreme family of HMIs. -30 to +70°C. IP66/Nema 4X. Optional fully sealed units with M12 connectors mount directly ‘on machine’ with no enclosure required. Class 1 Div 2, ATEX Zone 2 and 22 hazardous approvals. High bright option for maximum visibility. Available in 7, 12 and 15 inch models. See it in action. Check out the video. 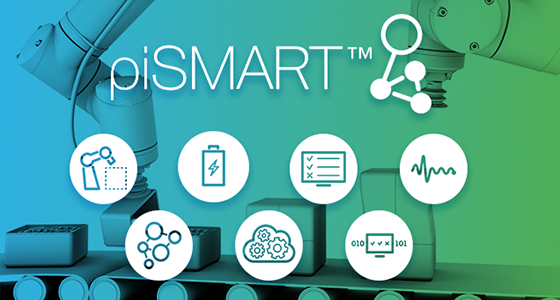 Responding to the rallying call of Industry 4.0, Piab is introducing piSMART™ – more intelligent and cloud-connected versions of the company's most advanced vacuum technology products, kitted out for the smart factories of the future. 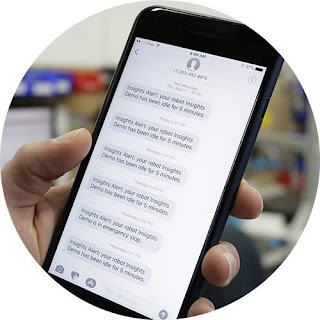 FPE Automation's Automation Controls Division has been so impressed by Robotiq's Insights software that they have taken it upon themselves to spread the word! 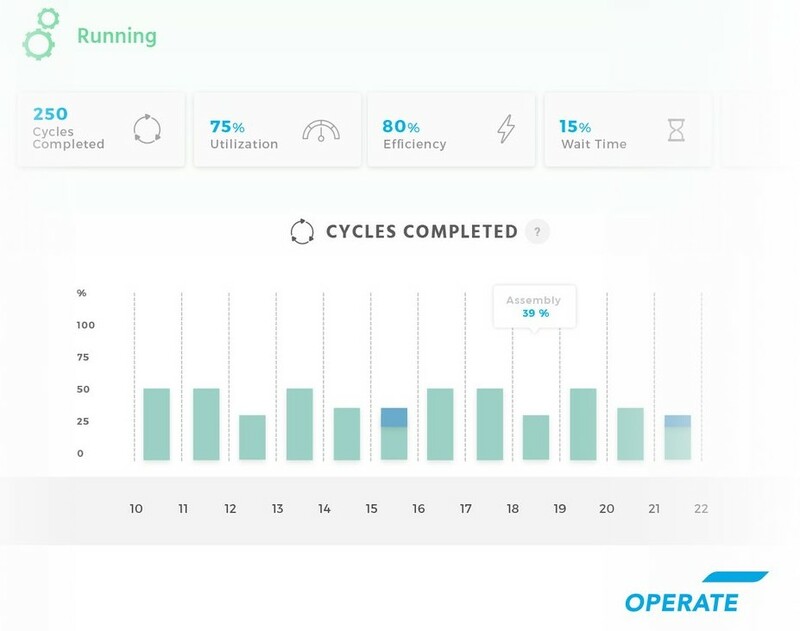 If your environment is making use of cobots, or you're thinking about adding them in the near-term, Insights software is something you may want to consider. Monitor your robot in real time. Robotiq's Insights software sends you a text message when your robot is down and provides real-time data about cycles completed, efficiency, wait-time, and overall utilization for each of your robots. Easy to integrate, easy to use. 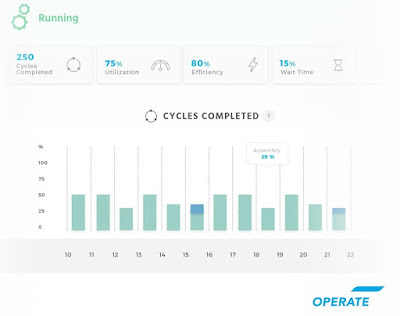 Insights brings real-time monitoring, analysis, and diagnostics to collaborative robots. It will keep you posted on your robot’s performance anywhere, anytime, thanks to the Insights web app. Register Now for TS17 - NEW EVENTS ADDED! Register today for FPE Automation's biggest event of the year! It's TS17! 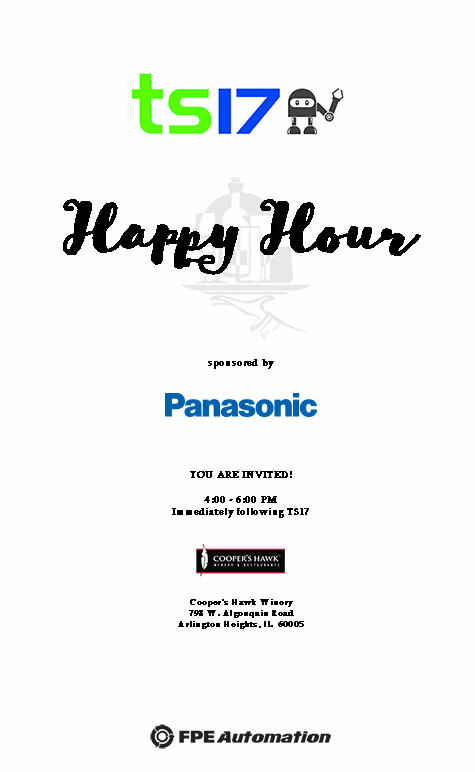 Panasonic invites all registered TS17 attendees to happy hour following the showcase! Happy hour (exclusively for TS17 attendees) takes place from 4:00 to 6:00 pm. 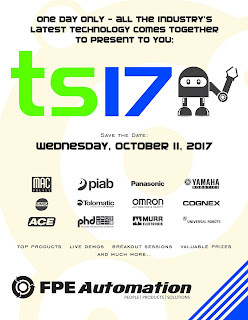 FPE Automation is thrilled that Panasonic is participating at TS17! Panasonic's exhibits are always a highlight at these events. 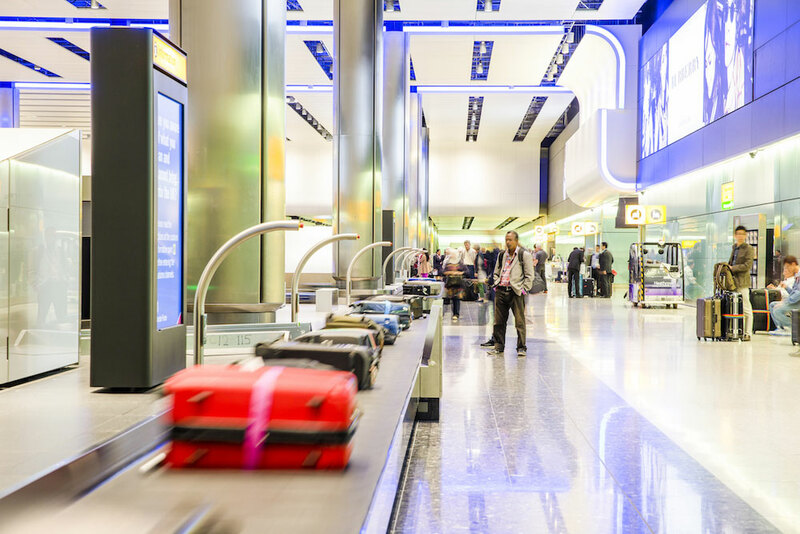 They feature impressive, interactive displays that people appreciate, like their laser marking equipment. You can even bring your own part and try it out on the spot. This year, the fun doesn't end there. Panasonic has generously offered to host a happy hour immediately following the technology showcase! All TS17 attendees are invited, and we hope you can join us! See you at the show. Haven't registered yet? You can sign up here. 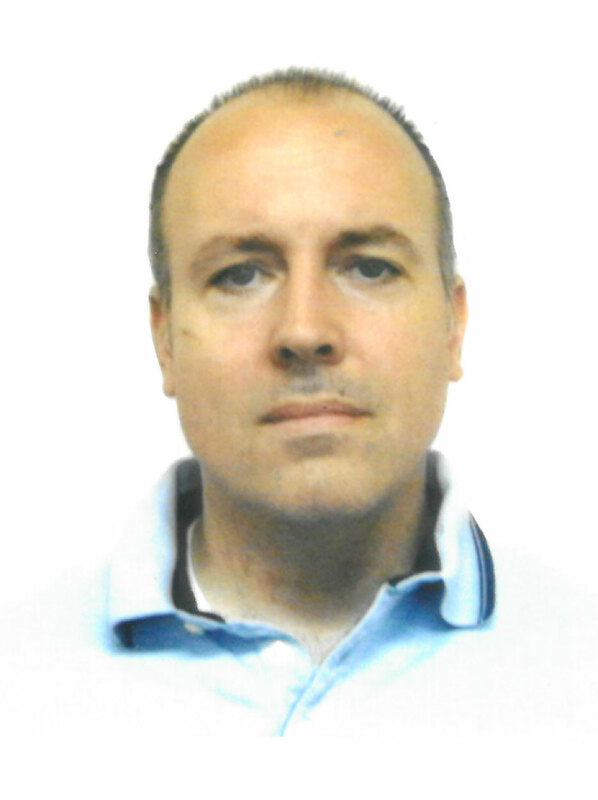 FPE Automation welcomes Anthony Bonadio from MAC Valves to TS17! We're excited to announce that Anthony Bonadio will be joining us at TS17 to host a special breakout session addressing pulse valve technology and understanding dust collection. The area of dust collection has been undergoing a shift in recent years. Groundbreaking innovations have produced new technology that has companies re-thinking the way they process their airborne contaminants. We'll explain all of that in the special session hosted by Anthony Bonadio on Wednesday, October 11, 2017 at 3:00 pm at FPE Automation's TS17 Technology Showcase. FPE Automation has just added additional training dates. Classes are filling up fast, be sure to reserve your seat soon! Training is free of charge/complimentary to valid customers. Spend time getting familiar with EasyBuilder. Join Cognex at the FPE Automation training center in Elk Grove Village. The In-Sight® Explorer EasyBuilder® interface walks you through the process of setting up your vision application, step by step. Great for all users, regardless of previous experience. One-day event offers hands-on training. 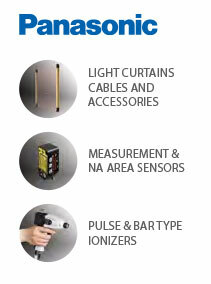 We will cover the difference between vision sensors and vision system and other solutions. We’ll discuss general machine vision concepts, lighting, lenses, resolution and other factors you’ll need to consider when engineering a vision system. 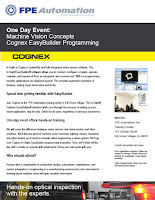 We’ll go over Cognex In-Sight EasyBuilder programming examples. Then, we’ll finish off the day with a hands-on session with actual parts. Bring your own parts with you! Anyone who is responsible for production, quality, automation, maintenance, and system integration or engineering in a manufacturing environment, also interested in learning about machine vision will gain valuable information. CLASS SIZE IS LIMITED - PICK A DATE & REGISTER TODAY!!! You asked, we delivered! We authored our own catalog. It contains the items you need the most. 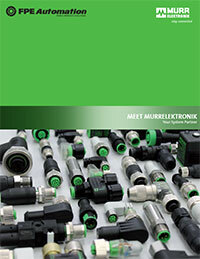 Download/view FPE Automation's Omron Commonly Ordered Products catalog here. 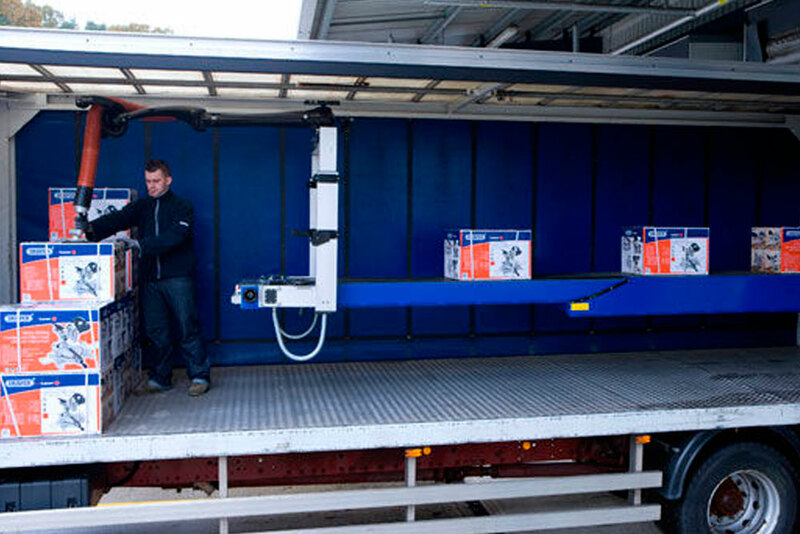 We carry all of the safety components you require in your equipment and facilities. 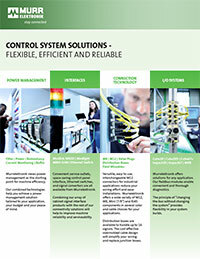 From sensors and switches to relays and controllers, FPE Automation has it all. 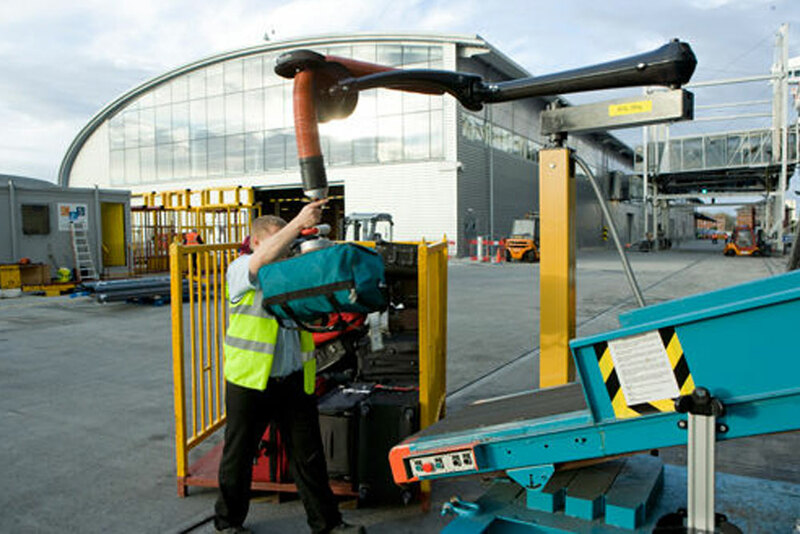 Vaculex is a leading manufacturer of lifting systems based on vacuum technology. Earlier this year, Piab acquired Vaculex. Piab has been a global pioneer in the vacuum products industry since 1951, and has had a strong partnership with FPE Automation that spans several decades. For more information about Vaculex, contact us! Announcing TS17: FPE Automation's Technology Showcase. Save the Date! FPE Automation and Panasonic have teamed up to offer you special pricing on select items! Get the new 6-page brochure! It's full of great savings, but it's exclusively for FPE Automation customers only. Just fill out the contact form below, and we'll get you a copy. Send me the promo pricing brochure from FPE Automation and Panasonic. Thanks. Worthwhile solutions become even more so when you can get them at an exceptional price! Small, oval and extremely nimble friction cups have been added to Piab’s line-up. Piab is introducing a number of new cups in a variety of shapes, sizes and configurations, all with the exceptional durability and elastic memory that are the hallmarks of Piab’s friction cups. Available in four different sizes, the new BXF family features a total of 36 cups. 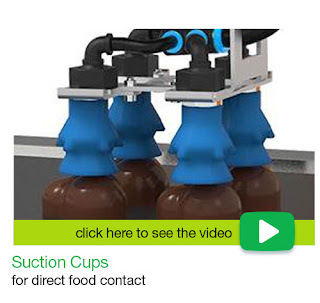 The cups have additional bellows and offer an improved level compensation performance. As a result, they're easy to program for de-stacking applications where the rack positions of sheets or other objects might vary slightly. 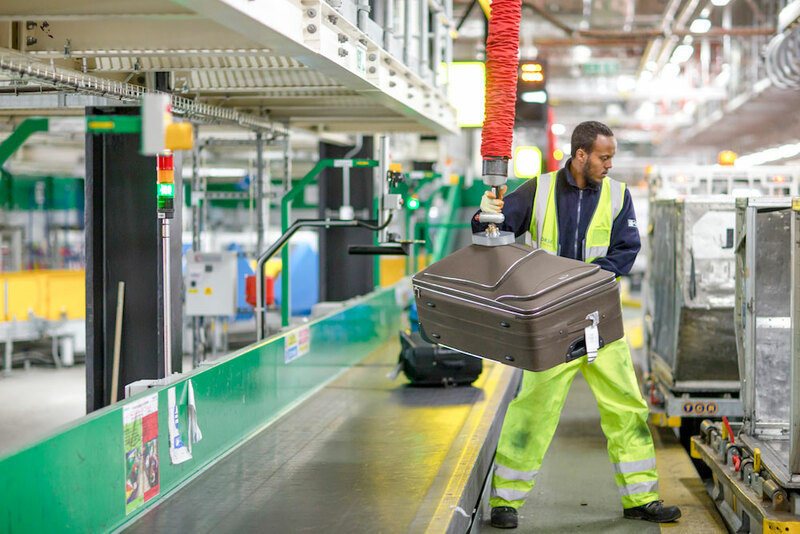 Bellows with extra flexibility make the BXF friction cups very forgiving when they pick objects, allowing for the variations often seen in auto-racking applications. The flexible and nimble cups eliminate the need for expensive and cumbersome spring brackets/plungers to be fitted on ejectors or robot end-of-arm tools, resulting in simpler and less expensive installations. Small oval shaped friction cups are the star performers of two other new families introduced by Piab. Featuring either one bellow or no bellow, the OBF/OCF families’ smallest members measure only 15 x 35 mm and are available in a high and a low configuration. Also available with the dimensions 15 x 65 mm, the cups are specifically designed to enable a safe and secure grip on very small surfaces. That allows the cups to lift and handle objects by their edges where the cups’ unusual shapes maximize the suction area. The OCF family’s flat, bellowless cups offer less inner movement for applications that require optimal stability. The OBF/OCF families each include 36 new friction cups. Piab is also increasing the number of available fittings and threads for its line of friction cups. The introduction of new dimensions, including a 3/4 inch thread, enables Piab to meet 99% of all customer requirements. Happy 60th Anniversary to PHD! FPE Automation would like to congratulate PHD Inc. on 60 years of making top quality products that are making a difference in countless sectors in American manufacturing. You might not realize it, but at some stage in the game, PHD touches a lot of what you buy. Happy Anniversary, PHD! PHD hosted a 60th Diamond Anniversary & Distributor Sales Meeting in June. It included baseball, a realistic game show and a lot of other fun & celebratory events. 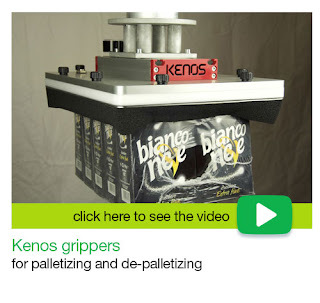 Among them, some special recognition for FPE Automation that we'd like to share with you. Above, just a handful of people were invited to participate in Star Breakout Sessions. Among them are our very own Art Gesell and Steve Kocmond. We're very proud of the fact that we had not just one but two stars! Here's Art (left) sharing his testimonial with the crowd. Way to go! On a completely different note, FPE's Dale Miller is in the PHD 10K Club for June twice! Art Gesell, Andy Button and Joe Judge also won the honor for the month.Congratulations, gentlemen! 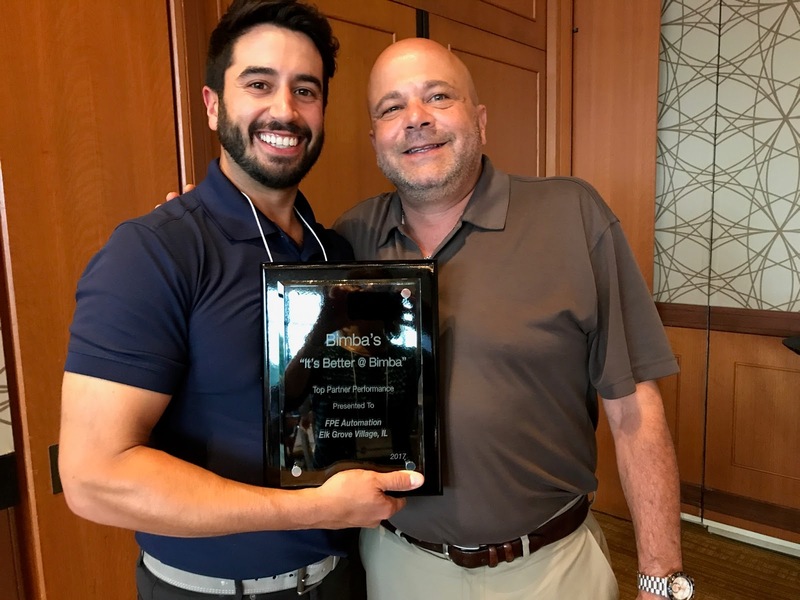 Yesterday, FPE Automation's Joey Bardos (left, Director of Sales) and Dave Bardos (right, President) accepted the Top Partner Performance award at the 2017 Bimba Distributor Meeting. 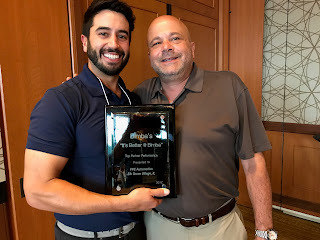 FPE Automation would like to sincerely thank Bimba for this honor. 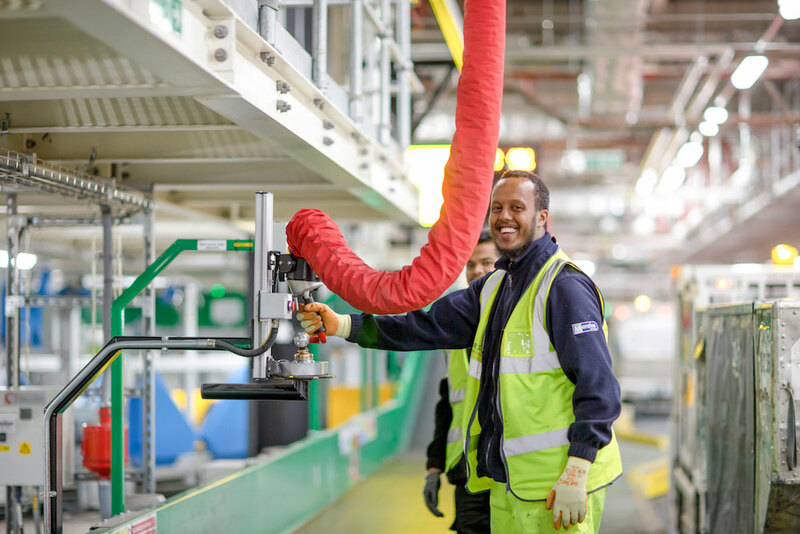 We also realize, behind each award is a dedicated staff collaborating on a daily basis with our valued customers to get the right products to them, at the right time. We would like to thank our team for their efforts in making this achievement a reality. There are no shortcuts. Success like this can only be accomplished through dedication to our customers and their individual needs. 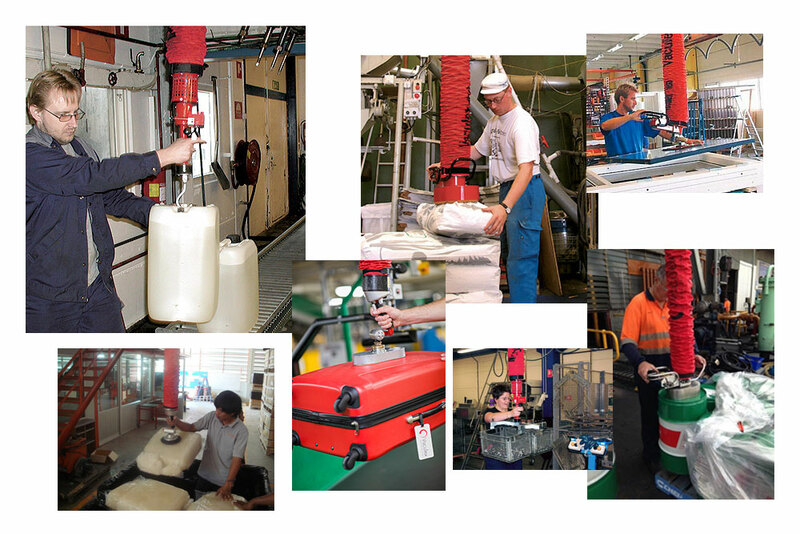 For more than 50 years, FPE Automation has been committed to delivering solutions. We're proud of that, and we look forward to the successful partnerships that lie ahead. 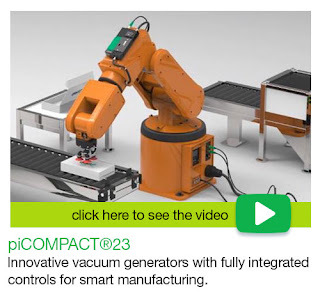 Piab's line of vacuum products can easily be used on all robotic systems to meet your requirements for efficiency, productivity and quality.